A company participating in an ESA Invitation To Tender (ITT), is required to complete a financial proposal that includes the ESA Procedures, Specification and Standards Forms – known as PSS forms. 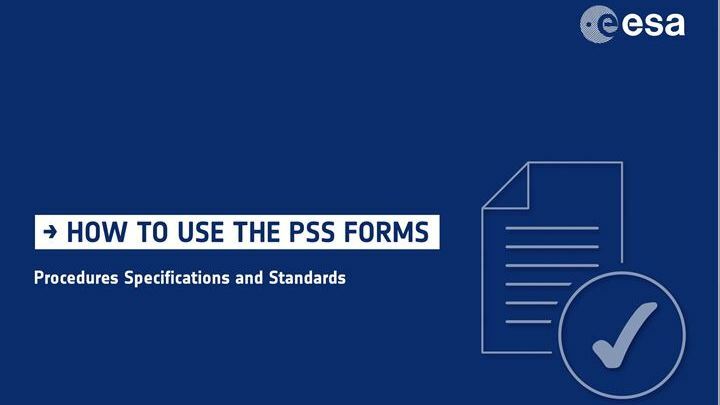 ESA PSS forms show cost data and are required under the General Conditions of Tender for ESA Contracts (ESA/REG/001, rev.3, Annex IV). The Tender Evaluation Board (TEB) uses this information to conduct a review, comparison and selection from the various tenders received in response to an ITT. The information in the PSS tables is used to break down costs and give transparency to the total price of an industrial proposal. For those new to ESA, the presentation below gives an introduction to the terminology and demonstrates the links between the costing forms. The intention is to help you better understand the forms, enabling you to construct and present a tidy and coherent financial proposal. For questions about specific ITTs, please contact the official contact names. These are issued with each tender. We hope you find this guide useful and wish you success.